I’m delighted to report that my photograph Conservatoire des Ocres #1 has been nominated for the Masters Cup, the International Award for Color Photography. This is my second nomination for the prestigious award, the other coming in 2010. The press release provided by the Masters Cup says that 8,521 entries from 86 countries were judged by a who’s who of gallerists from New York, London, Shanghai, Paris and so forth. So the field was loaded and I’m tickled to make the cut in the Abstract category. If the image looks familiar it’s because it was the subject of a post last summer when it was included in the Color show at the Brooklyn Waterfront Artists Coalition in New York. 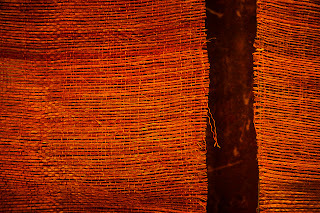 As I detailed then, It was taken at the aforementioned Conservatoire des Ocres in Roussillon and the weaving depicted was part of an elaborate display showing the various uses of the rich ochre pigments that were once mined in that famed village perche. To see more of the best in contemporary color photography you can log on to www.photomasterscup.com. Just outstanding regarding your recognition. 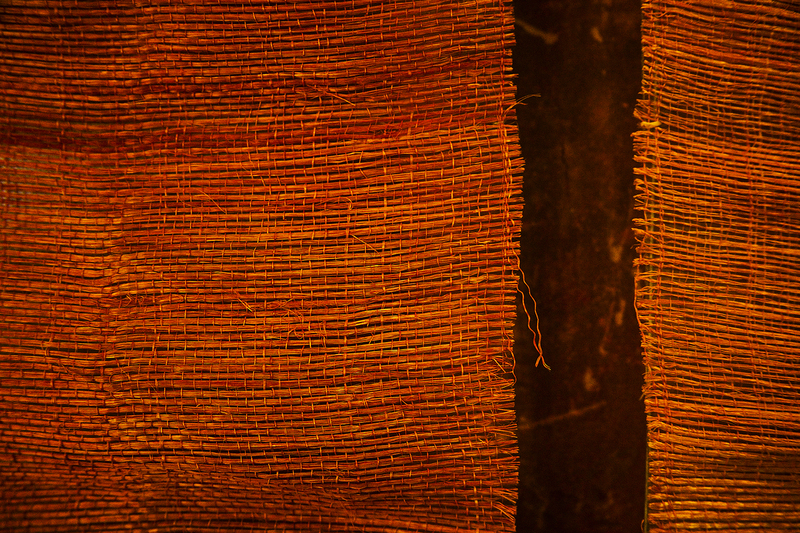 Love the textures, colors and that little thread hanging down really set the whole thing off for me. Another superb example of your "artistic" eye. Congratulations, compadre!!!! Thanks Jim. I'm glad you caught that because to me the thread makes the image. It's often the case that a small element enhances the image way beyond its proportion. That you saw that demonstrates your keen eye. Congratulations on your nomination for the Masters Cup. A wonderful image and worthy of the nomination!